ORANGEBURG, SC (WIS) - Traffic isn’t always a major problem in Orangeburg, but motorists had to slow down and feast their eyes on an unfamiliar sight on John C. Calhoun Drive. Taking up one lane of the road was a cow trotting down the roadway. 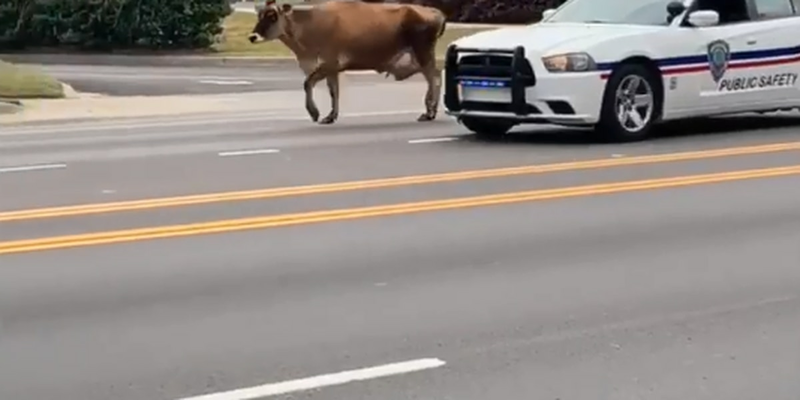 As the cow made its way east heading towards the city limits, it was accompanied by several members of the Orangeburg Department of Public Safety. Around the same time, a second cow was seen near Dodge’s Chicken in the median. Video of the incident surfaced on social media of one of the two cows and has been shared more than 50 times since being posted. I know the Orangeburger has some beef but we didn’t know it was this kind! Holy Cow!